New Zealand's security services failed at a basic level, both in fact and law, in the Dotcom case. The head of New Zealand's Government Communications and Security Bureau (GCSB), Ian Fletcher, has been roasted by New Zealand Prime Minister John Key over the Kim Dotcom case. Basic failures in fact and in law, said Prime Minster Key in a video interview, were what caused the GCSB to blunder so badly. "I apologize to Kim Dotcom, and to New Zealanders," said Prime Minister Key, who went on to say that he was "appalled" at GCSB's mistakes. When asked whether he had asked for an explanation from GCSB head Fletcher, Prime Minister Key said that he had, but that "I'm not entirely sure I've had a completely satisfactory answer. " Kim Dotcom has already responded to the Prime Minister's apology via Twitter. 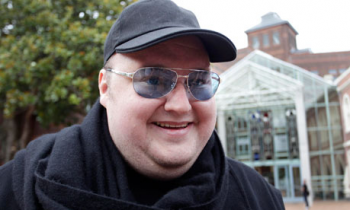 Dotcom accepted the apology, but demanded a "full, transparent and independent inquiry" into the Megaupload case. "Show the world that your government is not an American dancing bear and that fairness and due process matter in New Zealand," Dotcom Tweeted. The issue hinged on a question of nationality. When the GCSB first started its surveillance the argument it made was that Dotcom was not protected under New Zealand law, as he wasn't a citizen. However Prime Minster Key admitted that Dotcom had arrived under a Residency Visa that, under the immigration laws at the time, ought to have protected him against illicit surveillance. "If [the GCSB] had been more thorough at what they had done," said Prime Minister Key, "they would have worked out that Mr. Dotcom ... was protected by the law." It's impossible to say whether this development will affect America's extradition case against Megaupload founder Dotcom. Prime Minister Key didn't think it would, since the issue of illegality lay with the GCSB investigation and had nothing to do with the American extradition effort. That said, it's difficult to see how the extradition can take place without the GCSB surveillance transcripts, which are now out of reach. The extradition hearings are currently delayed until March 2013.